The song is so beautifully played and sung that pretty much everyone that owns a ukulele will naturally gravitate towards it at some point. At it’s heart it’s a pretty simple song but it’s worth investing some time on really perfecting the strumming pattern to get an authentic sound. Just the 290 million views to date for this one, not too bad at all. 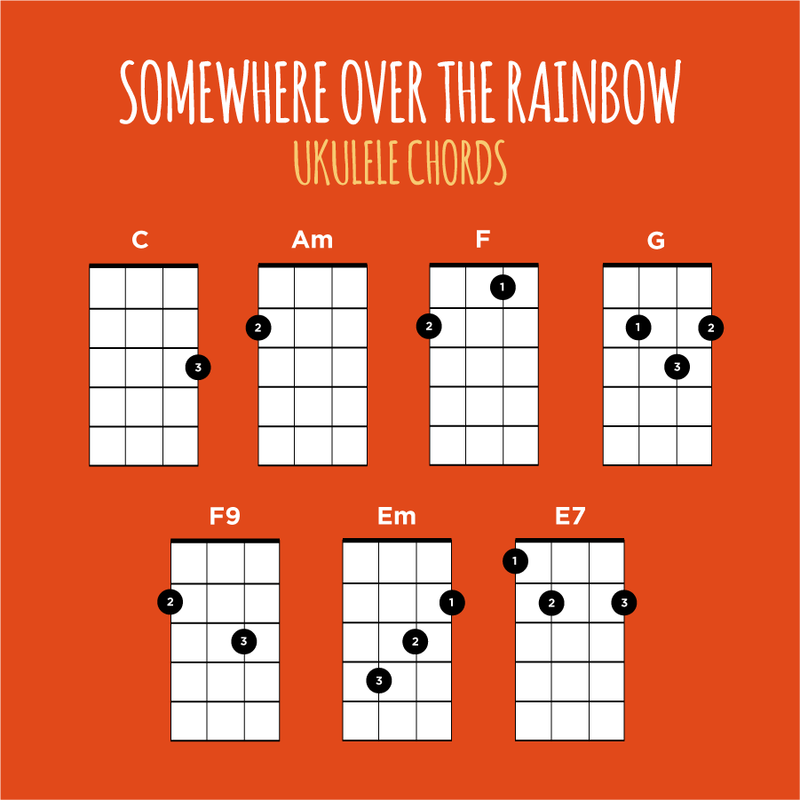 Seven chords will see you through the song (co-incidentally the same number as colours in a rainbow) and whilst that is a few to remember they’re really not that difficult and some of you will be very pleased to hear that there are no barre chords in the mix. Probably the most difficult to deal with are the E minor and the E7. If E minor is causing you problems then you can simply play a G chord and drop your pinkie finger onto the 4th fret of the C string. Ok here we go. There are a few ways to interpret the strumming pattern on this one and you can get away with just strumming DUDUDUDU throughout but we’re going to go a little bit beyond that in this lesson. One thing I will say is that when I listen, certainly at the start I can hear Iz catching the strings straight after the thumb pluck and on the 3rd beat also. That would make it more of a TUDUDUDU pattern but this can sound pretty clunky. Iz really uses dynamics on this pattern and some of his strums are barely audible at all but they do contribute quite a lot. Whichever way you go with the strumming pattern, it remains the same pretty much throughout. There is a subtle shift away from such a rigid pattern towards the second half of the song but it’s mostly just changes in dynamics rather than a change in the actual pattern. As I always say, very it as much as you feel comfortable. The same pattern played the same way throughout can get a little boring (for you and your listeners). To get the song structure grab the PDF song sheet that I’ve put together as a reference. It includes all the chord boxes and lyrics. 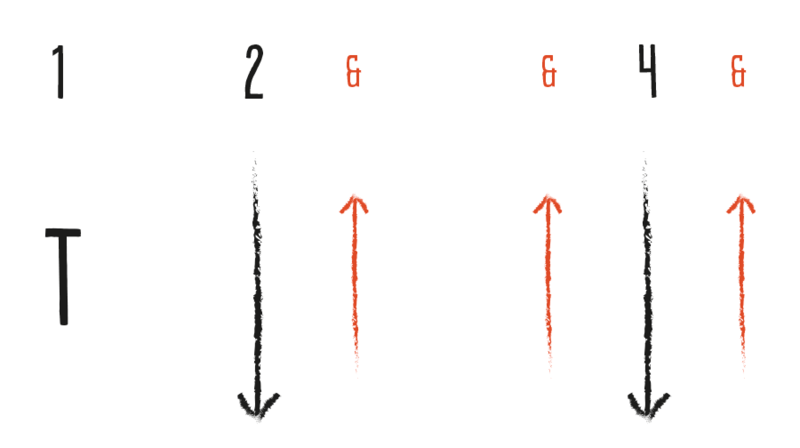 You’ll generally be playing the strumming pattern above twice per chord. The exception to this is the intro (just before the singing) where you play the strumming pattern only once per chord. 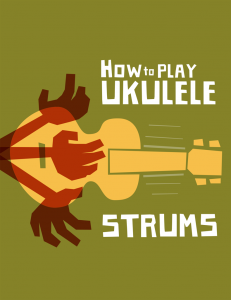 If you really want to progress your strumming at a rapid rate then I’d highly recommend taking a look at Al Wood’s downloadable ebook How To Play Ukulele Strums. 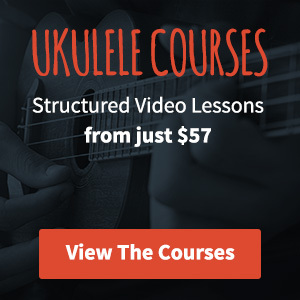 For just $12 you get an in-depth guide showing you how to play 49 different strums with supporting videos and MP3 files. There’s also a really useful section that focuses on counting strums the easy way (something I wish I had when I was learning to play). Sure thing Phil, it just means pluck the top string with your thumb. Hope that helps! 1 2 3 4 and so on. You subdivide an “and” between the beats: 1 (and) 2 (and) 3 (and) 4 (and), while keeping the 1 2 3 4 at the same pace. Thanks so much for sharing “Somewhere over the Rainbow”. I like the strumming pattern. My question is, “ How should I strum it?” With a down strum with 3 fingers and the up strum with the thumb? Please let me know ! Thanks again.